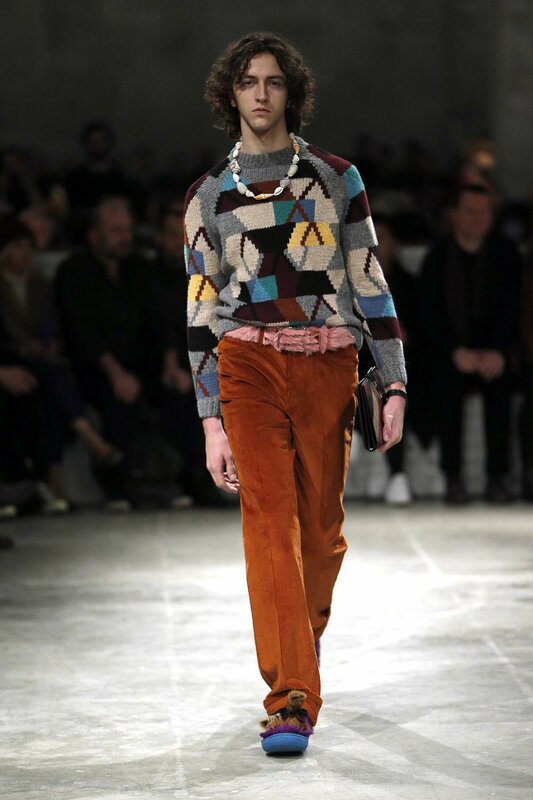 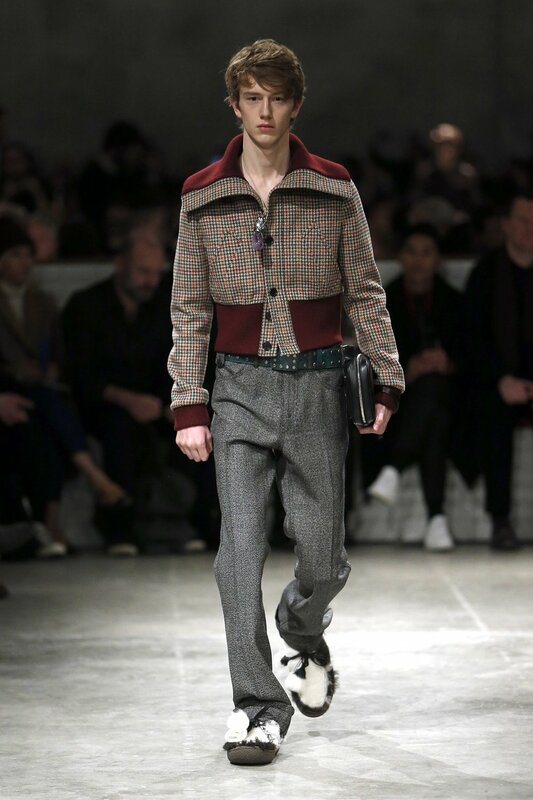 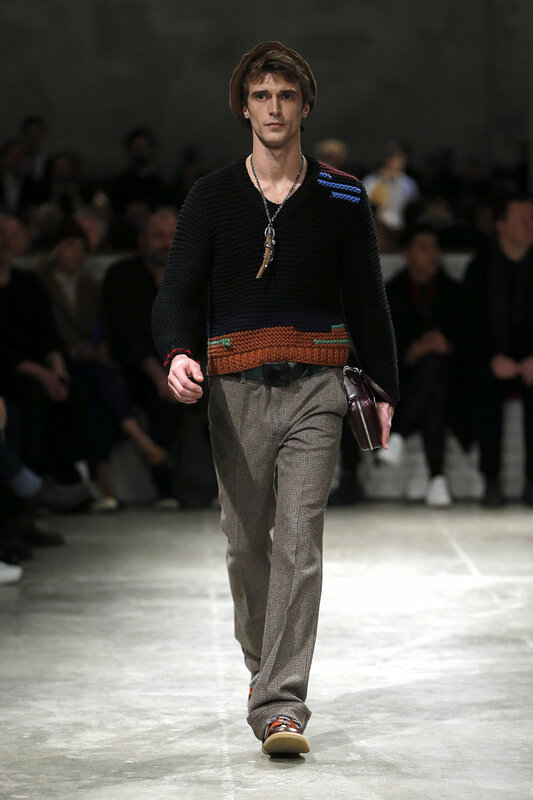 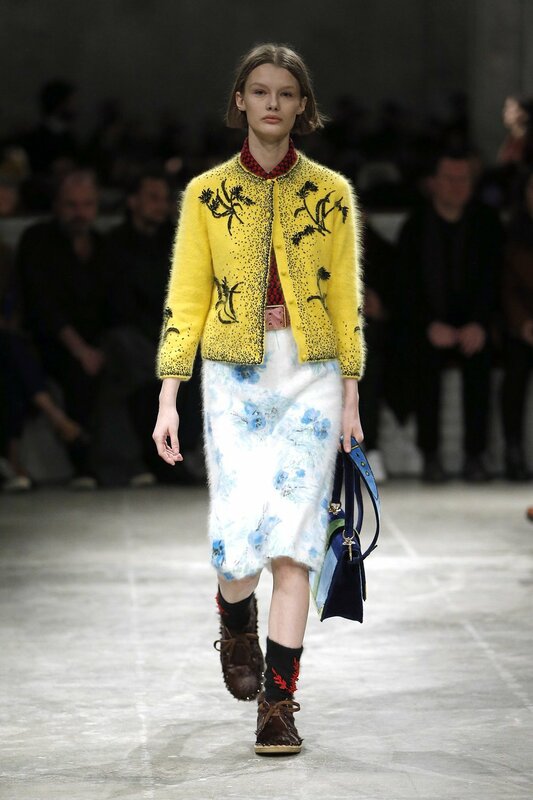 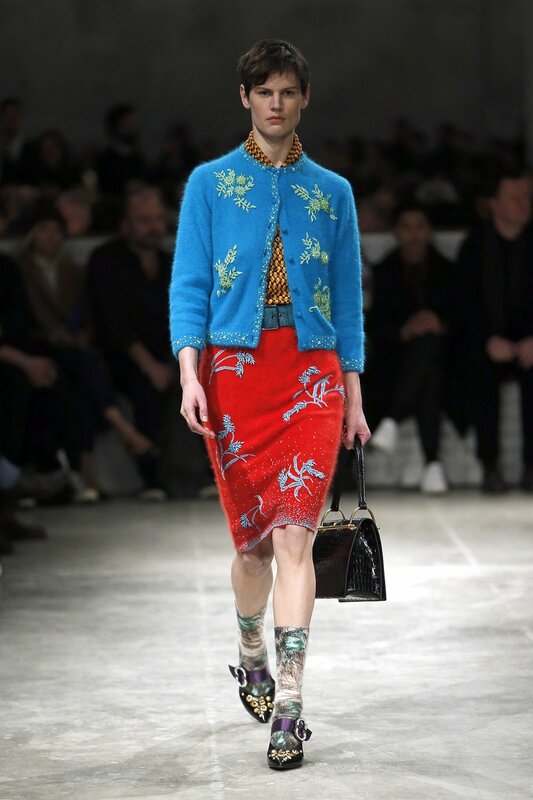 Nothing seems more fitting to this AW17 collection from Prada than Miuccia Prada’s own words “fashion fosters clichés of beauty, but I want to tear them apart.” The appropriateness of this quote derives from the sheer contrast created by Prada’s Spring 2017 menswear collection, which featured a wide array of colourful prints with a heavy emphasis on cultures of the world. 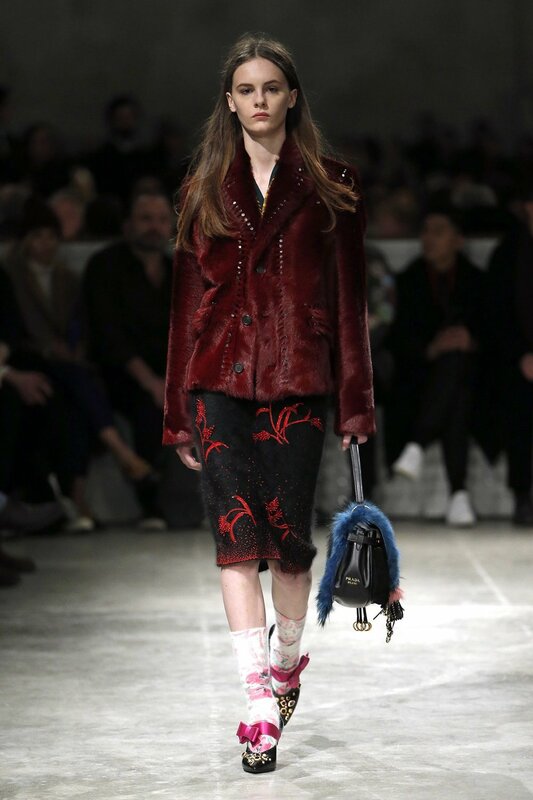 Staying true to the fashion house’s tradition of resetting and reinventing itself, this collection tore both into the previously set modes of expression and the clichés of beauty created by past collections. 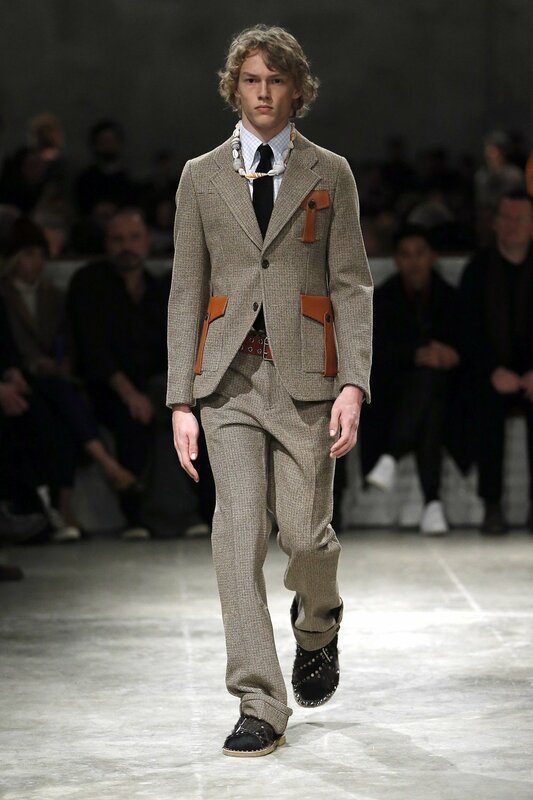 The AW17 collection opened with a remarkably simple Ivy-league look, featuring a light blue shirt, grey v-neck sweater and caramel corduroy trousers. 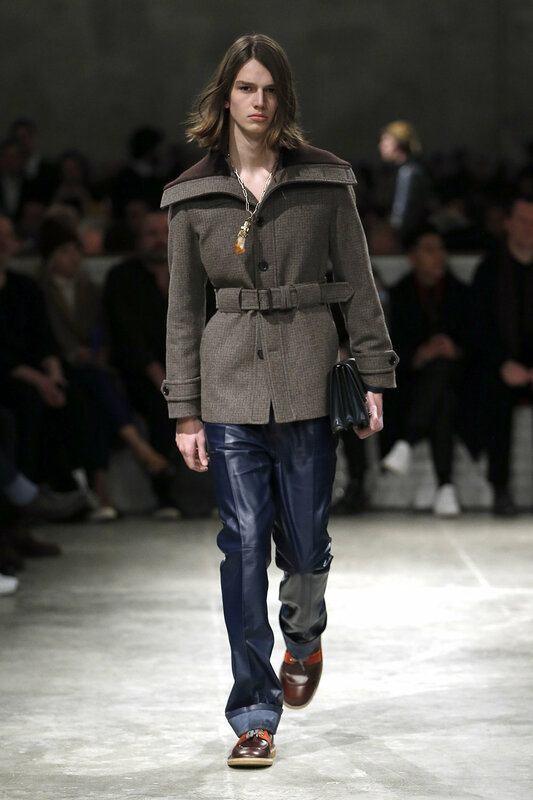 This did not, however, set the tone for the rest of the show, but was merely used to underline the return to simplicity. 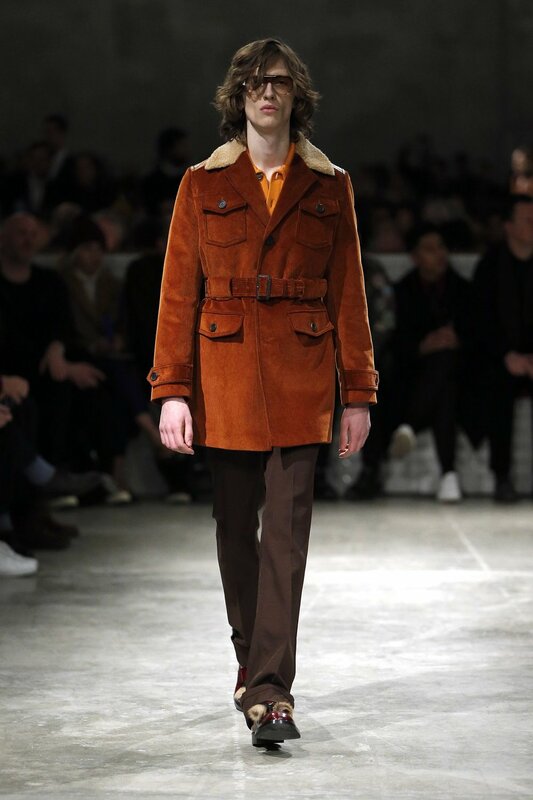 Following the opening look, the collection evolved around the 70’s with great prominence given fabrics such as corduroy, suede and tweed. 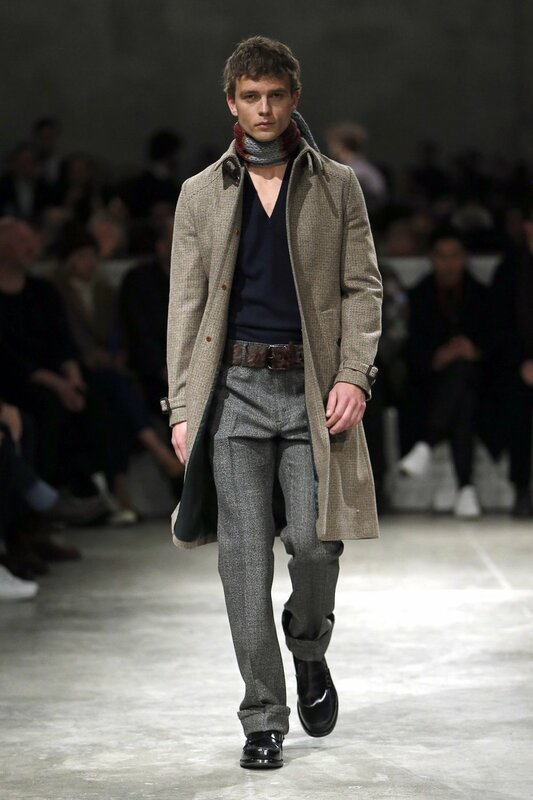 It was clear that nothing was left to chance with this collection and every single outfit was thought through to the last detail. 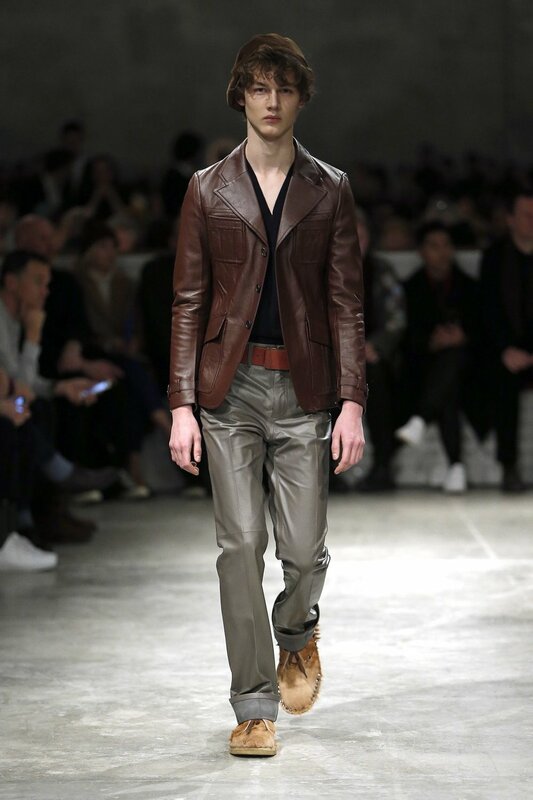 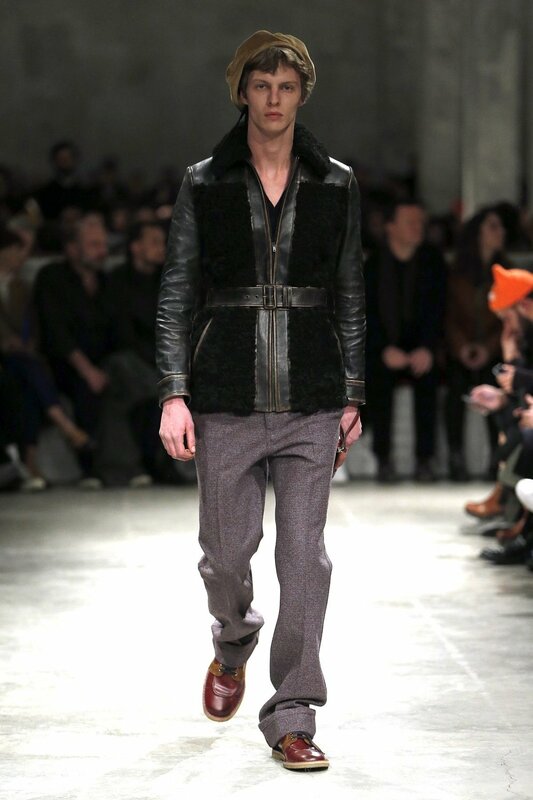 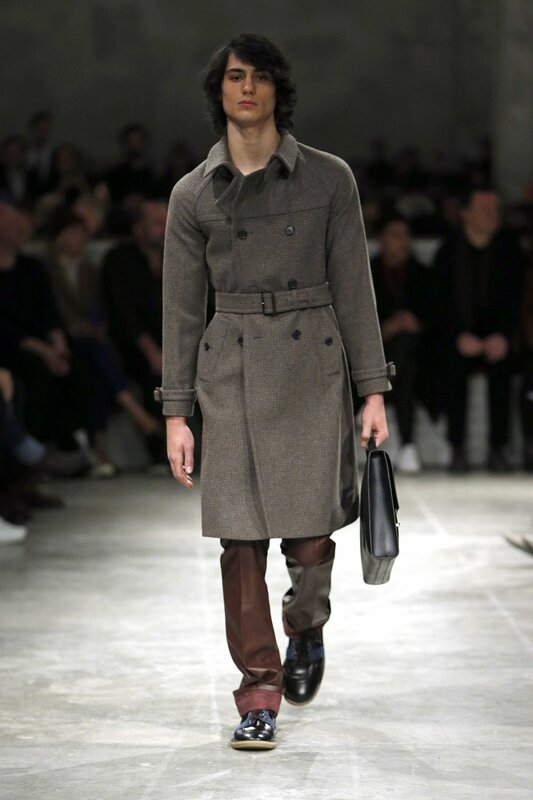 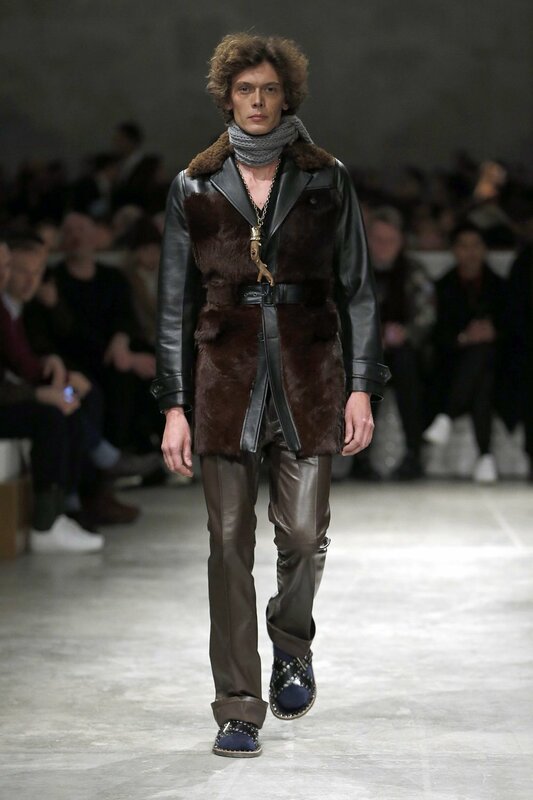 Each look was completed through a touch of careful deliberation such as hued sunglasses, thick belts with large buckles and wide-notch lapels in order to bring the authenticity of the era to the fore, which was further highlighted with the use of leather jackets and large newsboy caps. 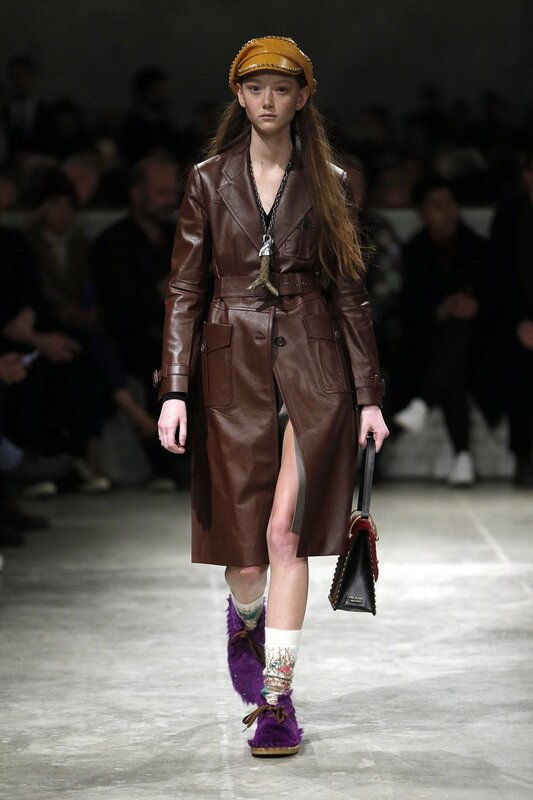 For a decade that has been playfully incorporated into a variety of collections by a plethora of fashion houses over the past few years, Prada vividly demonstrated its distinctive approach to the 1970’s while still adding its own unique palette.